I&apos;m beyond excited about the potential of this new community! 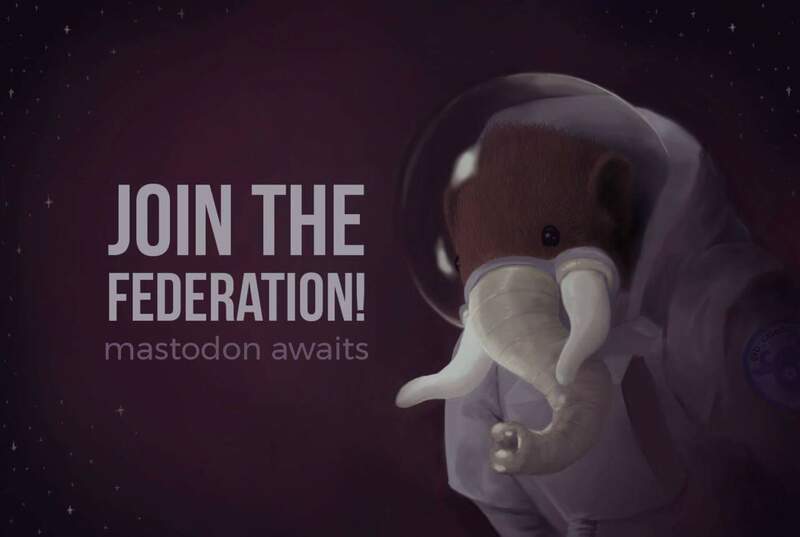 Good morning Mastodon — what are we doing today? 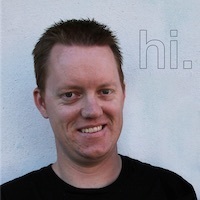 My name&apos;s Rich and I&apos;m an interaction designer based out of Sydney, Australia. 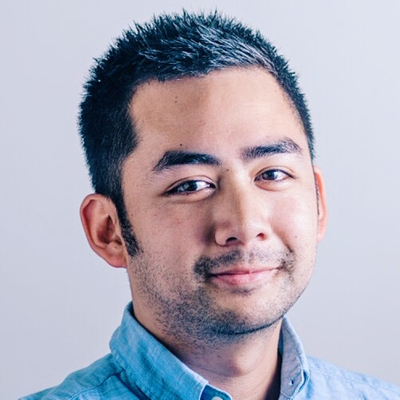 I&apos;m currently the UX lead at an agency called PreviousNext and I also write and talk a lot about microcopy (I&apos;ve actually got a little blog called goodmicrocopy.com if that stuff interests you). Glad to join the group! And thanks @rafa for the invite! Motion.app is an underrated app. I&apos;m glad that it&apos;s cold enough outside that I can finally wear hoodies and jackets again. I also put together a transcript of one of my talks and is finally live. 1. We binged Marvelous Mrs. Maisel and now I&apos;m in love. 2. Life is Strange 2 came out and we played through episode 1, heartbreaking, sweet, and amazing. 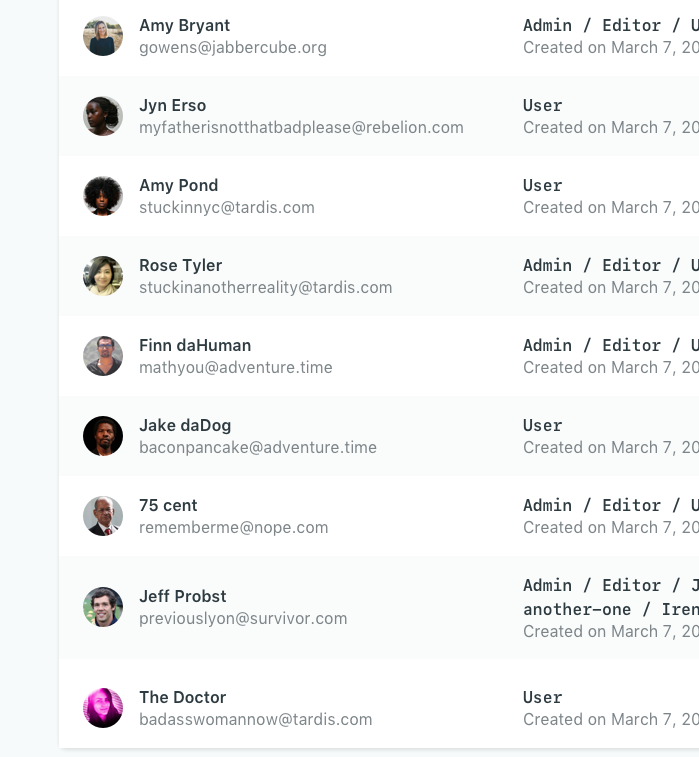 About that blog design, decided to go for a Dark Mode theme, and then change as little as I could to the default text settings of the browser. 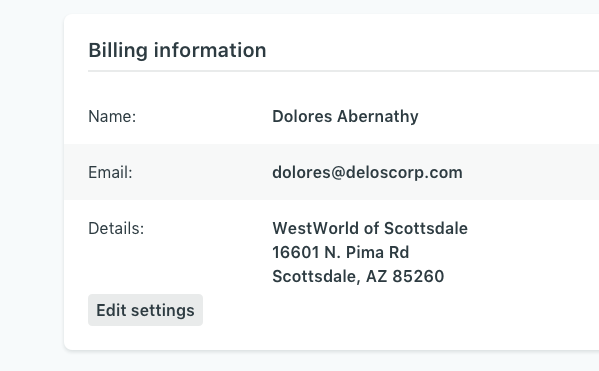 I&apos;m a UX/systems designer in the tech world, father and friend in the real world. Thanks for the invite @rafa. 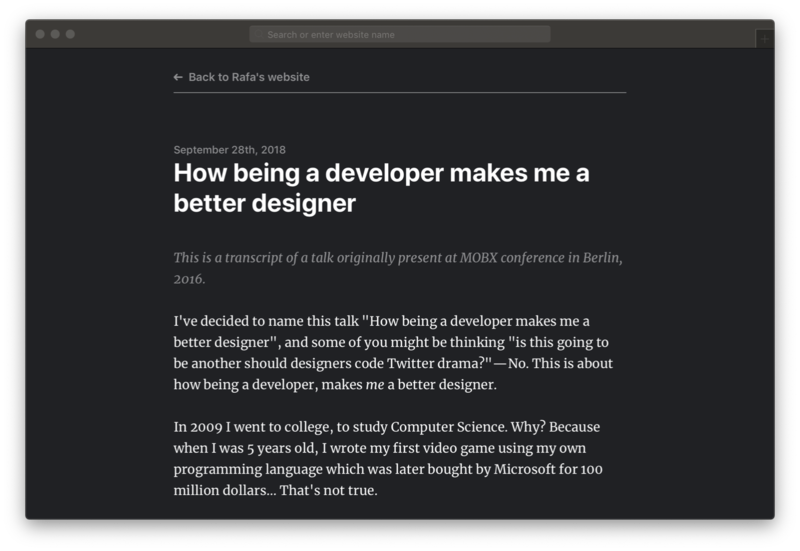 Writing a transcript of my old talks, which was a great excuse to design a new blog layout — dark mode all the things! Never let @maxvoltar use your phone. On my way to Amsterdam for Framer Loupe. Who’s gonna be there?